Setup your own branded online e-commerce store with BuildabaBazaar's powerful DIY platform. BuildaBazaar is India’s largest D-I-Y e-commerce platform which helps you get your own online store in a matter of few clicks. BuildaBazaar software features integrate with your existing systems, Omni-channel Deployment, Analytics and reporting, Logistic Management. Leading brands trust BuildabaBazaar to manage their Online Business. Buildabazaar.com is an online e-commerce platform built by Infibeam. Buildabazaar is SaaS-based E-commerce platform for creating online retailing stores. BuildaBazaar is a powerful ecommerce platform offered as a hosted solution - which helps you to build online store. The Software as a Service (SaaS) model ensures you get a robust and high performance platform without having to worry about software upgrades and hardware maintenance. BuildaBazaar is continuously updating the platform to create online store with new features to help you increase your sales. Feel free to manage your existing products, on BaB and smartly sell online. BaB features a comprehensive CMS - Catalog management system to manage your products. Simple web User interface to add new products to the store, manage product description, price, and stock. Powerful bulk tools allow addition of multiple products and modification of store product information. BuildaBazaar is the platform that lets you customize & create a store and products, as per your requirement. It allows creation of unlimited store web pages to showcase products. Powerful widgets simplify addition of banners, images and content to a web page. 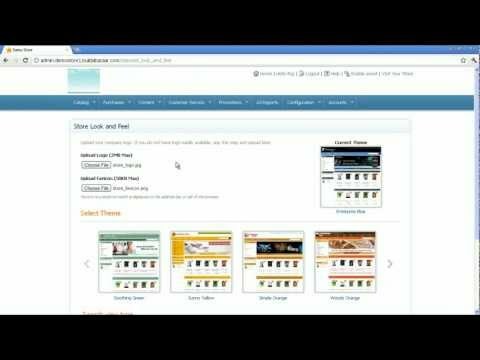 Make changes to the content of the store pages using the on page customization tools. Right from the placement of order, to the payment and delivery completion; BaB gets you through all of it. Build online store here and manage order fulfilment, shipment and completion for all orders from a single panel. Generate invoices for track shipments using advanced store administration panel. Allow customers to track their orders and stay updated on the latest status. Create a store with BuildaBazaar and get it boosted on the omnipresent internet world. Increase traffic to your store by running online marketing campaigns, BuildaBazaar features several optimizations to enhance search engine rankings and discoverability of the store. Highlight your store with keywords matching the products and brands. To sell online, it gets mandatory for your business to mark it's space over prominent Social Networks. Attract customers on social networks. Share information about your store on Facebook and twitter. Allow customers to engage with your store using social sharing features like Facebook like, twitter share, and Google+. Collect online payments on your store using Credit cards, Debit cards & Net banking through your own payment gateways. BuildaBazaar supports integration with a number of domestic and international payment gateways like DirecPay, Billdesk, TechProcess, CCAvenue, HDFC, Axis and PayPal. With convenient payment options available through BuildaBazaar, it gets easy to sell online. Q. How to create your own Category or Products? If you have opted for Infibeam navigation style during sign up, you can not create a new category of products apart from using those in the Infibeam navigation structure. To create your own category of products, you have to opt for custom navigation structure during store sign up. Email us at cs@buildabazaar.com to deactivate your current store so that you can register another store using the same email address and store name. Q. How to add the catalog of my products in bulk? To use bulk upload option for uploading the catalog, do as follows: In the Admin Panel page of BuildaBazaar, click Catalog>>Bulk Upload>>Catalog Choose Your Feed Type & click on upload : Variant Feed - For uploading products csv Stock Feed - For uploading stock file If you have selected Variant feed then click on Browse & choose your catalog file , which you want to upload To Download sample file Click on Get Sample. A sample CSV file is downloaded. The CSV file downloaded can be opened in Microsoft Excel format. The excel sheet contains different fields which need to be filled up with details about the product To fill product details in the CSV file: Open the CSV file downloaded to your computer in Microsoft Excel and populate your product catalog in the defined formatBefore uploading catalog file , images should be uploaded first then the csv Image UploadAfter the bulk image upload is over, you need to upload the excel file for catalog bulk upload. To do this: Click on Browse to choose File. Select the relevant CSV file on the system and click Open. Click Upload. A message stating ‘File uploaded successfully’ appears. Q. How to download the catalog / stock of my products? Q. How Do Customers pay on my store? Customers can pay on your store using one of the following cards – Visa, Master, American Express, JCB, Dinner Credit Cards both domestic and international, 44 net banking accounts, All major debit cards or by paying cash on delivery. Q. International Shipping and Payment? International transactions are facilitated via Visa cards, Master cards and American Express. International shipping module now available for use in a gold plan in BuildaBazaar software.